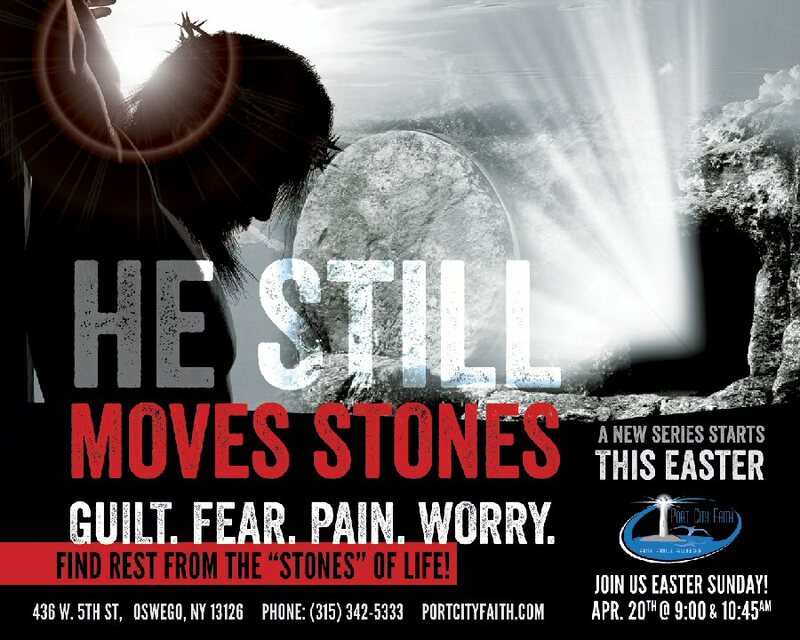 OSWEGO, NY – Port City Faith will introduce a groundbreaking series entitled “He Still Moves Stones” during its two Easter Services at 9 a.m. and 10:45 a.m. on April 20. The series will address many of the concerns and obstacles that people in our community face: depression, anxiety, emotional disorders, relational struggles and many more applicable issues. “There is a solution to these heartbreaking life struggles, I challenge you to join us for these services and find out what the answer is!” said Pastor Sebastian Foti. This is the first time the church will present two Sunday services in order to accommodate the growth of the congregation as well as the holiday surplus in attendance. Port City faith has an upbeat style of service with contemporary worship and relevant preaching. Its intricate children’s church program is offered to grades pre-k through sixth and nursery is also offered for those less than four years of age. 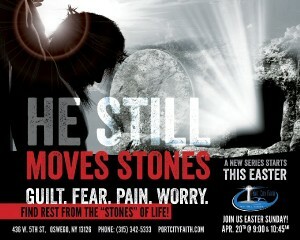 For additional information, please visit www.portcityfaith.com or the church’s Facebook page.